Here it is. I scoured the Internet high and low for tips, tricks, and tools to help me follow through with my own New Year's resolutions. I found great testimonies, personal stories, blog posts, how-to guides, and even podcasts. While they all offered different strategies for keeping up with your goals, they all had one thing in common: repetition. Whether people I read about were trying to master a craft, lose weight, or perfect a recipe, they did it over and over and over again until they were happy with their results. Some people did it a few times a week and some as often as multiple times a day. But the people who got really good at what they wanted to do repeated it so many times it became part of their routine, like second nature. All of this has brought me to the year of 100 blog posts. I understand it sounds like a lot, but when you think about it, it comes down to about 2 blog posts per week. This "forces" me to get creative, get funny, and get real. I can't tell you how many drafts get stuck in my blog dashboard and eventually go in the trash because I'm afraid to pull the trigger. Sometimes I've got great stories and advice to share but I'm scared my thoughts aren't organized or my content is creative enough to keep up with "the blogs". This year that stops. Tati childhood story: When I was a kid my piano teacher would set a difficult piece of music in front of me and make me play through the entire thing on first glance. She didn't care how bad it sounded, because she knew I was eventually going to get better with repetition and hours of practice (see how I brought that full circle?). While it was scary to do, getting over the hump and just playing it through was exhilarating. It helped me immediately discover areas for improvement and refine my technique until I mastered the song. This year I want to have this blogging thing down pat (don't we all, though?). Now I'll never know how well things can turn out if I never try! I'm sure you can think of a million things you'd like to get better at this year, too! This year, what are you going to do #100Times until you've become the master? Go on 100 dates? Try on 100 shades of lipstick? Meditate for 100 mornings? Go for a morning jog 100 times? Try 100 varieties of sushi roll? This is me challenging you to do something 100 times. You're either going to get really good at it or really sick of it, or even both. This trick is so simple it's stupid but who says achieving your goals has to be complicated? Have you figured out what you want to achieve? 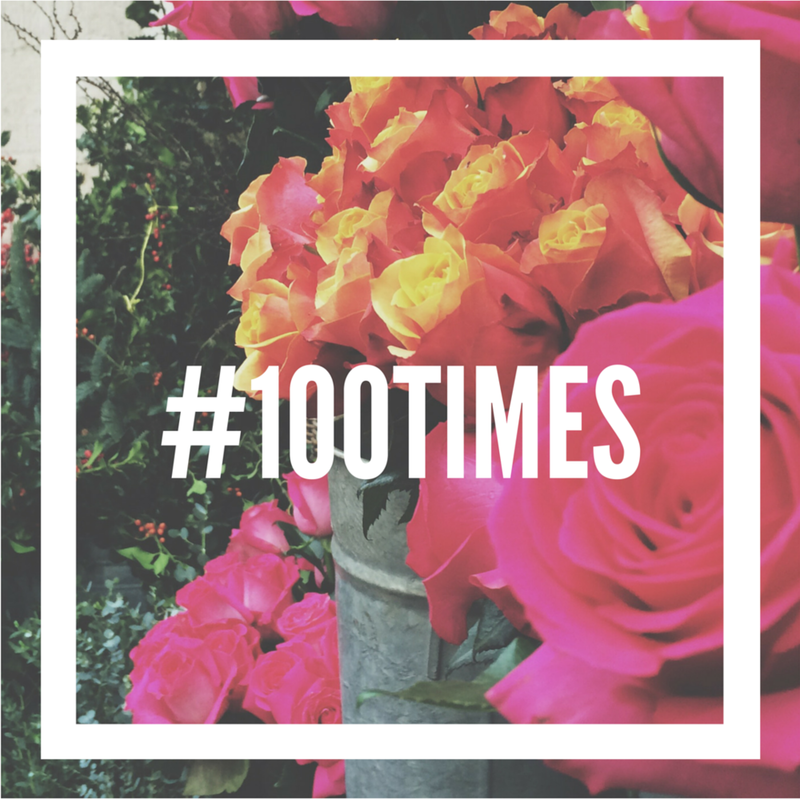 Share it with me on Facebook, Twitter, or Instagram with the hashtag #100Times. For me, it's important to share my goals with my friends and followers so I'm held accountable. I know for certain that someone is going to ask me what number blog post I'm on (this is #2 of 100...). So every once in a while remind us that you've only got 25 days of yoga left, or that you've made 75 different sweet potato pies. I'd sure like to hear it! Think of this as a very concentrated way to achieve your goals. Do it with intention and persistence and you'll be doing it in your sleep! In 2016, you can have it all and then some. Good luck and don't forget the hashtag!